Every day there are new internet applications popping up at such a rapid rate that not even the most tech-savvy millennials can keep track of them all. However, with the innovation of a new phenomenon called the Internet of Things (IoT), apps will now be pushed further into hyperspeed. IoT is important because it has the opportunity to change the world for the better, and at a faster rate. IoT takes devices that contain or can contain data and shares this data with some database using the Internet. This is a personal, informal definition of IoT, but the more formal definition, “the interconnection via the Internet of computing devices embedded in everyday objects, enabling them to send and receive data,” is a bit less approachable (as per Dictionary). Infrastructure: IoT is hardware that uses software, and is housed in facilities for physical security (hopefully). Connectivity: IoT uses the internet or even “dark web” to transport data from point A to point B.
Mobility: IoT by design is mobility on steroids, meaning it uses the power of mobile technologies, protocols and more to deliver data. Performance: This is where IoT is most likely to begin to suffer in the near future. When analytics demand more metrics, IoT will be looked at with greater scrutiny. It might be difficult for it to deliver everything it is promising. Security: IoT security is not different from any other technology security with the exception that IoT at the moment lacks a standard framework to manage the risks. That’s where ITIL comes in. ITIL® is defined by AXELOS (the governing body for ITIL) as part of a suite of best-practice publications for IT service management (ITSM). ITIL provides guidance to service providers on the provision of quality IT services, and on the processes, functions and other capabilities needed to support them. ITIL is used by many hundreds of organizations around the world and offers best-practice guidance to all types of organizations that provide services. ITIL is not a standard that has to be followed; it is a guide that should be read and understood, and used to create value for the service provider and its customers. Organizations are encouraged to adopt ITIL best practices and to adapt them to work in their specific environments in ways that meet their needs. This leads to how IoT can be greatly served under the ITIL framework. By the year 2025, it is possible that ITIL will become the official standard of credible IoT hardware, software, and services. The “World Wide Web” as we know it today is truly the “Wild Wide Web.” There is very little control over the internet in terms of what is what published and where, making it hard for businesses and our governments to monitor it for legality’s sake. It is filled with hacks, breaches, the dark web, and even what I call “social breaches” (also known as fake news). The internet community is concerned about regulations and how they impact their freedom, however, in the future, it is my prediction that the internet will be regulated just like any other utility such as gas, water or television. It is unrealistic to think that adding millions of these IoT devices to the mix will help things get better. I estimate that by adding IoT devices without a management framework (like ITIL), the internet will actually crash by the year 2020. This means saying goodbye indefinitely to many popular and convenient websites and tools: no Facebook, no Twitter, no Instagram, no Amazon, no eBay and no PayPal. There is no way to predict how long it would take to restore global internet services and regain access to these services. I believe that the best way to prevent this is to adopt a regulatory compliance on the Internet that is based on ITIL’s framework. Continual service improvement surrounds and supports all stages of the service lifecycle. Each stage of the lifecycle exerts influence on the others and relies on them for inputs and feedback. In this way, a constant set of checks and balances throughout the service lifecycle ensures that services can adapt and respond effectively to cater to the changing needs of today’s business. This is an incredible amount of benefits. However, this is just the Ying, what about the Yang? Or is it the other way around? Anyway, the other side of the equation is quality control. Nothing is free; everything comes at a cost. With all of the positives that Bain has identified, what about the price, risk, and outcomes? Well, there’s really no way to know what those are without some strong form of management tools. Again, ITIL is uniquely positioned to stabilize, manage and mitigate the risk of IoT, so that the value it brings can be absorbed willingly and safely. 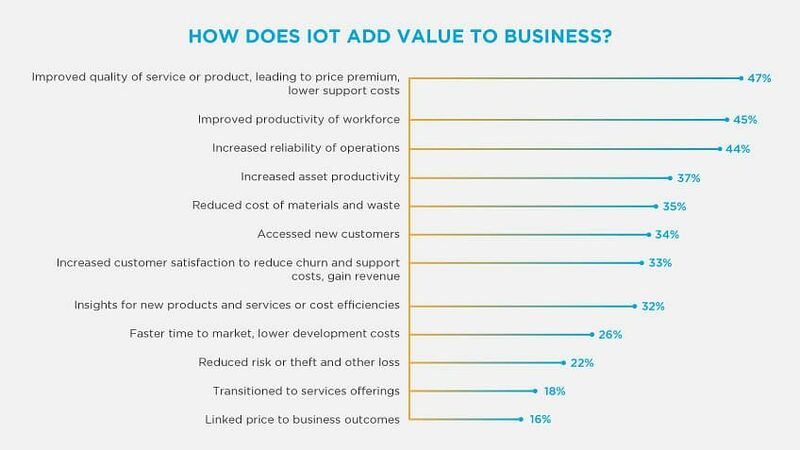 One of the key principles of ITIL will allow IoT developers and users to forecast, respond to and influence the demand for IoT in a cost-effective way. This can be achieved by using ITIL demand management and capacity management techniques, such as user profiling, modeling, off-peak pricing and differentiated service levels to provide the optimal level of capacity and successfully manage fluctuating demand situations. As technology continues to advance and connect more devices, products, and consumers, it amplifies and creates more challenges to stability, networking and security. With its proven framework for managing once disconnected things, ITIL is the best hope for the future of not just IoT, but the Internet itself.